What Is an Email List and How To Start It? As a blog writer, an email list is among the most crucial things you have to have in order to grow your audience and to ever offer anything. In this post, you will find out what is an email list and the specific steps to start your own from scratch. If you’re frightened or believe it will be excessive work, do not fret! I’m breaking everything down and supplying worksheets to prevent you from getting overloaded and disappointed. Hey, I have three kids at home so, I understand how valuable your time is. An email list is a simple list of email addresses. Today, every website owner has his own email list or several of them. If the content of your site is interesting to readers, they will themselves want to sign in to your email list in order to receive regular information about your site or blog. People who are on our email list are often called subscribers or site members. It looks like email lists are in the spotlight today, as they should be! A lot of blog writers are coming out of the woodwork, revealing that their most significant remorse is not making an e-mail list from the start. I’ll need to get on that train and state the very same. List building takes a great deal of time, perseverance, and determination if you wish to see it grow. I’ve been blogging for over 3 years and only started my e-mail list 5 months back. If you read this post, you learned more about all my techniques for growing my list to almost 1000 individuals. To me, that’s a big win. Today I’m concentrating on growing it even further. Essentially the quicker you start one, the better! Let’s deal with all that you need to understand when it comes to email list building and how to start one from scratch. Before to we dive into the best ways to start your list, let’s cover why you need one. I never ever understood how important it was to have one in order for my blog site to grow. To me, it was something I didn’t need which would just be excessive work. Well, let me be a frank: it will take some work, however, believe me when I tell you that it will be worth it. We saw in the recent post that a little hustle will come a long way in the end. My one piece of advice in these starting phases is that you need to actually wish to develop an e-mail list: dedication is essential. You own your Email list! To put it simply, an email list is the only thing you have control over, besides your site. Unlike all your social networks accounts, you OWN your e-mail list and nobody can touch it. Ever thought about what would occur if you got up one day and saw that your Instagram had been completely altered and all your material had disappeared? Do not roll your eyes at me, this is something that can actually happen. You do not own your Instagram, Instagram does. That implies they can do whatever they want with it, even erase everything. All your images, all your fans, all your effort– gone. Your list will nurture strong connections with your readers, who will become your faithful fans. Those who register are people that truly enjoy your content and wish to hear what you have to say. They enjoy what you’re putting out there and they want more. They’re your team. These are people that will constantly engage with you and share your article, attend your webinars, and ultimately buy your very first services or products. They’ll constantly have your back. Protecting an e-mail list from the get-go WILL grow your blog site and social networks. How? Due to the fact that people on your list are actually your target market and will certainly take a look at your brand-new article or follow you on Instagram if you send an e-mail asking them to. Your email list will not just produce more views to your material, it will be seen by the best people, aka your target market. At the end of the day, it doesn’t matter if you have 1,000 customers or 100 customers. All that matters is the number of people from those numbers who really enjoy your content. 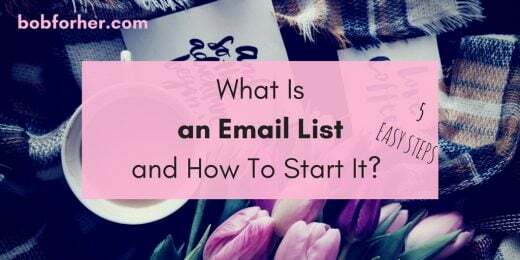 If you wish to ultimately start offering things on your blog site such as e-books, courses, conversations, and so on, you definitely must start an e-mail list. Think of it this way: you complete your product and are all set to start promoting it. Who do you turn to? Your e-mail list! Before you can start tossing your sales pitch out there, you have to grow a strong relationship with your readers. That’s why it’s crucial to start your list as quickly as possible. All the time spent not having a list is lost time that you could have been using to build trust with your readers. You’ve got to offer before you can take. 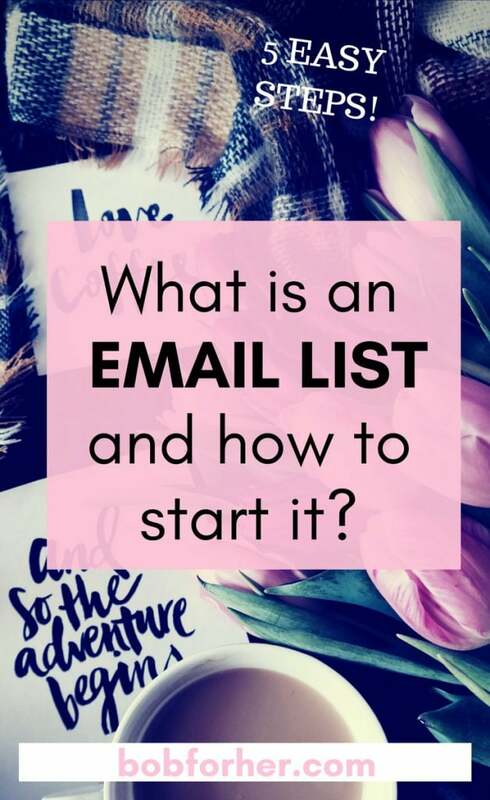 You probably ask now: Ok, but, how to start my email list? Time to get down to the nitty gritty! For clarity’s sake, when I describe an e-mail list, I’m not talking about an “RSS Email Subscription.” This is when somebody visits your blog site and gets emails with the whole post in it once it gets released. I’m speaking about an email newsletter membership that is created and sent out to your readers totally by you. Now that we’ve laid out the reasons you ought to have an email list, it’s time to ask yourself exactly what You wish to accomplish with it. 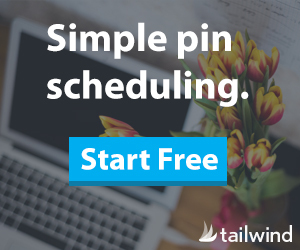 Do you simply wish to send a newsletter 1 to 2 times a week? Do you wish to start offering services or products? Naturally, you can send both weekly newsletters and offer items, it’s your list! It’s crucial to have a clear function before diving in. This will protect you from tension and keep you inspired. MailerLite is extremely easy to use and ideal for newbies. It has truly great drag and drops functions, which makes it a breeze to assemble an e-mail. MailerLite is an affordable choice with a truly good user interface and excellent modification functions. Their automation system is described as “Automation Workflow.” They also have detailed video tutorials to help get you started. Also, if you sign up with MY LINK you’ll get a $20 credit. When I started my list I sent out Facebook messages to people I knew were likely to join my list. Now, do not send out a mass message to everybody stating, “Join my list.” Be tactical and inform them what they can get from being on your list aside from simply benefiting you. You can use this exact same technique by sending out an expert e-mail to people who may be interested. The majority of people I asked to join my list did and some didn’t. In retrospect, I wish I would have been much more tactical since a lot of those that did sign up do not even open my e-mails. They merely signed up to “help me out.” Try and prevent this! What exactly are these words you’re tossing at me, Sheila!!! Opt-ins and content upgrades are useful material that’s free and that individuals can get in exchange for their e-mail address. Think about it as an ethical allurement: your readers want details and you want their e-mail address. Open and shut case. Providing giveaways is the most convenient and most genuine way to grow your list, in my opinion. And they are very simple and fast to make. Now it’s time for the enjoyable things! Now that you’ve established your e-mail list and began to gather e-mail addresses, you’re prepared to compose your very first e-mail. I will go into more detail about the various types of newsletters, opt-ins, and material upgrades that you can produce to grow your list later; however, for now simply concentrate on your function. You determined what you wish to make with your e-mail list. You selected an email company that works best for you. You noted 10-15 individuals to ask to join your list. You began to write some concepts for newsletters. Let me know in the comments how you’re feeling today. Thrilled? Overwhelmed? If you have any concerns do not hesitate to ask, I’m here to help! If you found this post useful, please share it to help others planning to start their own email list. That’s one thing that I haven’t actively tried to do yet. I have the set-up, but I guess I’m waiting to have more content on my blog before I put more effort into it. Thanks for these tips. This will be helpful for someone like me who is putting together my email list. this is such a detailed post. This is very helpful for a blogger like me. Having an email list so awesome because it helps us through our blog. You have reminded me how important email still is in the blogging or business world. I need to get back on the ball building it. Email lists are more important than people realize. Email might look like it died out a bit but it definitely hasn’t! 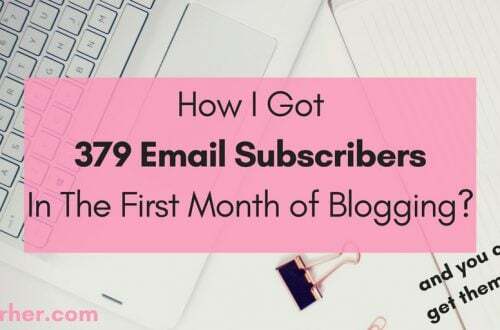 When I started focusing on growing my email list, it was life-changing. Well, maybe not that big but it felt like it! 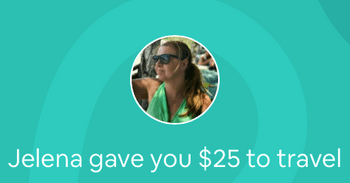 Thanks for sharing this, I’d love to learn how email list work and how can I grow more in blogging. I’m a newbie in blogging and tips like these really helps. I`m so glad that you find my blog. You have a lot of tips for new bloggers here. I have been a bit hit and miss with my blog’s email. It is on my list of things to focus on this year. Great! I`m sure that your site visitors will enjoy your emails. Wow – so much info. I’ve bookmarked the page, so that I come back to the post over and over again. I’ve never heard of Mailerlite, so I will be sure to check it out. Thanks so much, I’m going to start working on this first thing in the monring! If you need any help Libby, I`m here to help you! 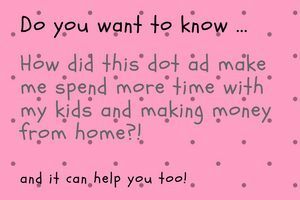 I really need to get an email list going and a newsletter too! Thanks for your advice, Im sure it will be really helpful. These are such great tips on how to build an email list! They are definitely a necessity into running a great business! I use Mailerlite and love it. It is so easy to set up and use. I need to start working on my mail list. While I do have a signup form on my website, I never really made it stand out or work on a strategy to get people to sign up to it. I haven’t really explored this option yet. I think I should really set up one. Great post and you have covered almost every aspect of it! Recently started using my mail list and I can see a boost in my traffic! Having an email list is really helpful when running a blog. This is an informative article. Thank you for sharing! Very helpful. I have a number of people signed up to my email list but I haven’t sent anything in ages as I got to the point I had to pay for mailchimp and I don’t know I’m a Scrooge and so I didn’t sign up to pay perhaps I should. Sarah, you can use Mailerlite. You can send unlimited numbers of emails to 1000 subscribers for free. Ohh fantastic I’ll have to look into that tomorrow! Thank you!